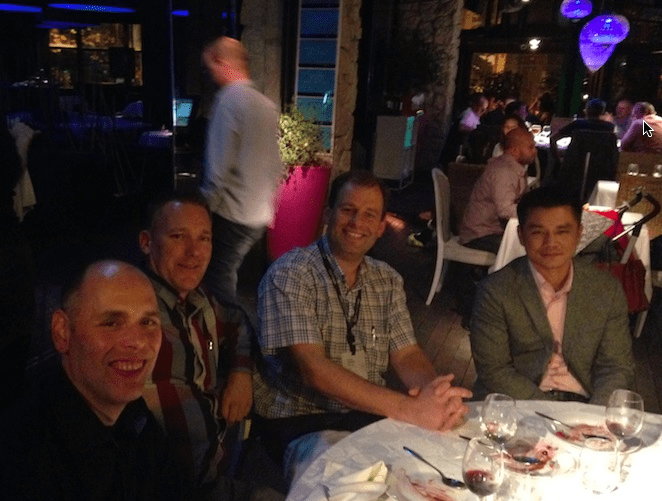 Me and my colleagues at FlexVirtual spotted Nutanix some time ago, I believe it was at VMworld Europe 2012 I heard of Nutanix for the first time. 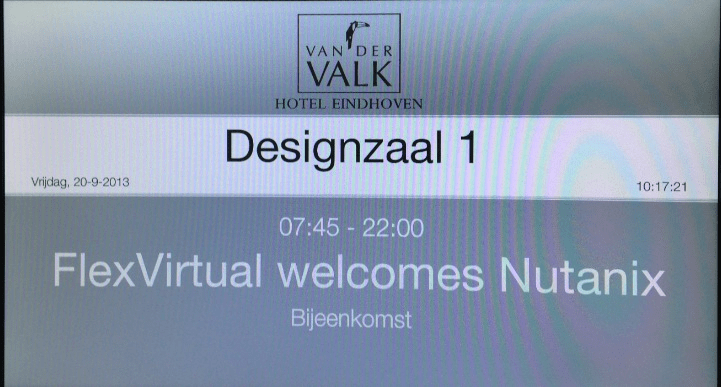 In June of 2013 Nutanix announced the presence in The Netherlands by hiring a movie theater in Amsterdam and appealing to the techies among us by showing the new Star Trek movie. Without talking to each other we found that three “FlexVirtuals” were present at this movie show. 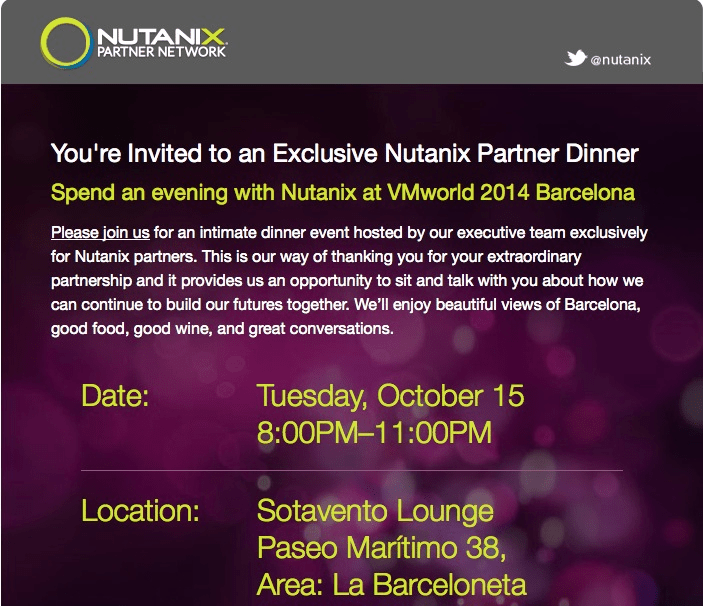 From then on we seriously start thinking about becoming a partner of Nutanix. 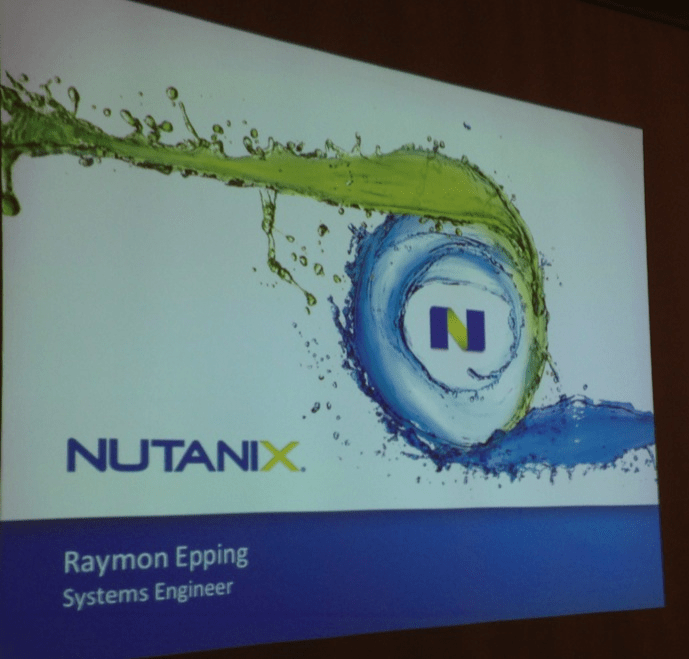 In one of the following FlexVirtual meetings we invited Raymond Epping @repping) to tell us more about “the thing” called Nutanix. By the end of that evening we were sure: no doubts left, we had to become a partner. So much potential and such an enthusiastic story. The next step into a partnership with Nutanix as far as I experienced it anyways, was being trained. 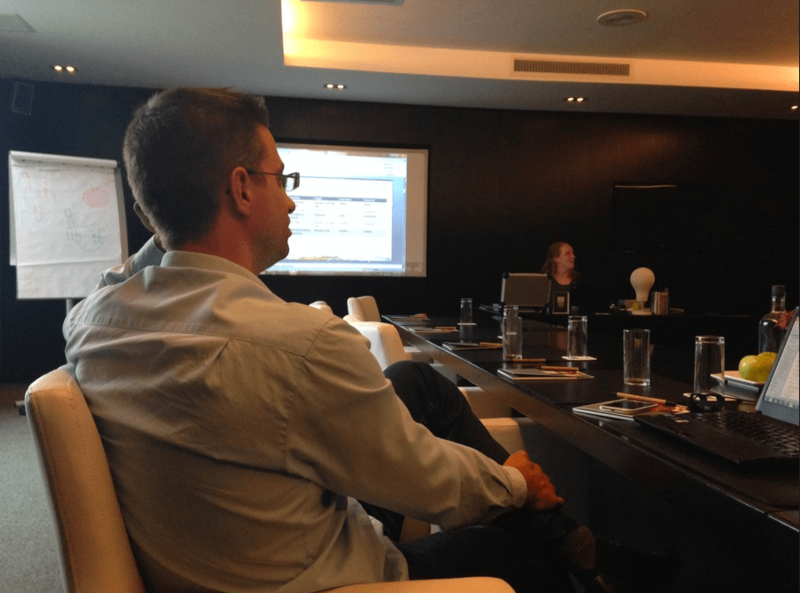 On a Friday in September 2013 all techies (and Alex) at FlexVirtual gathered in Eindhoven to be trained. Meghan Myers (@cogscimajor) did a great job dealing with us at the end of the week. By the time everyone went to bed that day FlexVirtual already had three people NPP certified. The rest followed in the weeks after that. FlexVirtual is proud to have 10 certified Nutanix Platform Professionals (NPPs). 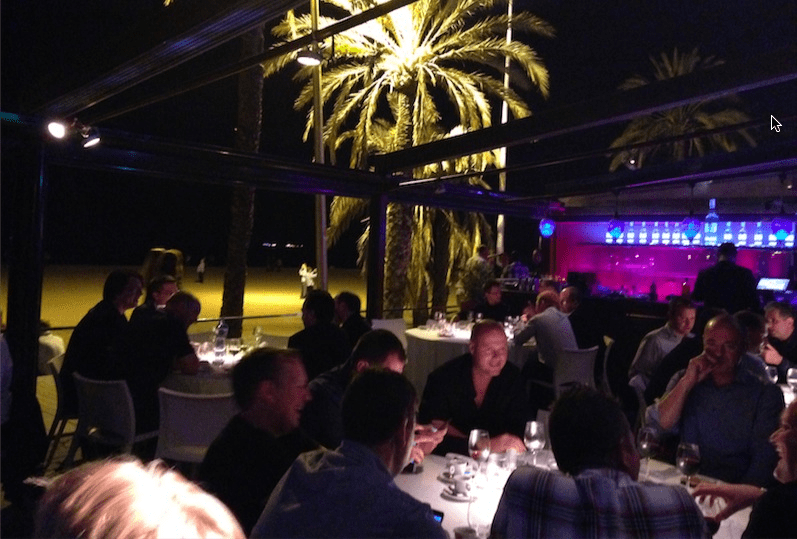 Not long after the certification success, FlexVirtual was present at VMworld Europe in Barcelona where Nutanix invited us to an exclusive partner dinner. A really nice setting and interesting people attending. Besides the fun-part of VMworld we attended sessions of course and below is an abstract of the Nutanix Session I went to, mixed with some actual statements and terms that are more 2014 . The Nutanix session starts with a question by Howard Ting. “Why are you here, is it Google in the title, and if so, what about Google made you come over here?”. Not a real response came from the audience, despite the packed room by the way. Howard continues, a SAN is like one central choke point. Big web scale environments are looking for scalable solutions, Google has solved it, but did architect it themselves, not every company can do that! true convergence, end-to-end visibility, this is what Nutanix has to offer. In the end the hypervisor is becoming an api for your applications. It’s all about functionality, but do they have the same user experience and ease of use or complexity? As the system grows the system gets more powerful. When it grows, there are more nodes that can handle the workloads and these workloads are spread out over the nodes. 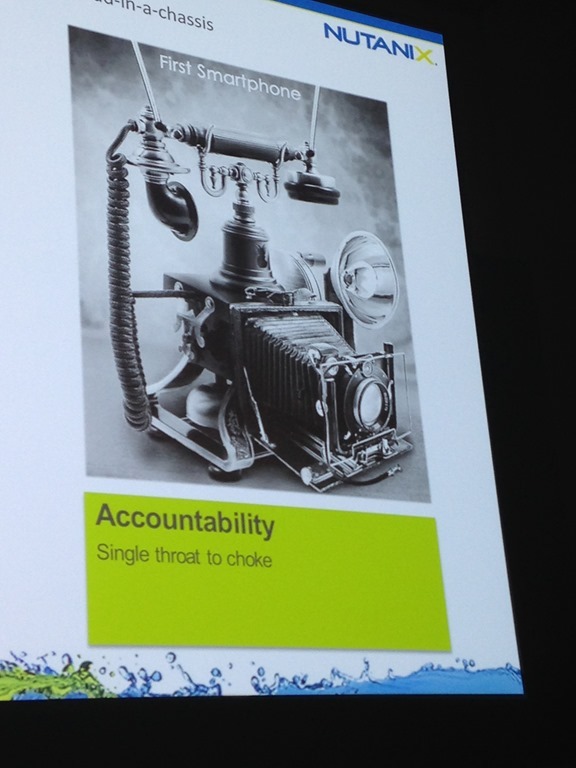 Traditional systems have that central choke point. Let’s map reduce: let’s give 3 math calculations to 1 person or give three calculations to three persons 1 calculation each. All nodes know what is where and what goes on there, in that way if there is a problem with one node the others can take over more or less seamless. Nutanix can run any workload. It not only has a VDI purpose (this share is less than 50%), big data is another big use case (20-25%), but with the new web-scale campain we continue to emphasize we can run any type of workload . You can consume the infrastructure in the same way you use saas apps, not writing big checks up front, but some sort of pay per useor better: grow per use. Q. Are you afraid being bought by one of the giants (hardware or software company)? Q. Looking at software defined, can you mix two types of boxes ? A. YES! Answered within presentation. Q. And with different hypervisors? A. Within the box probably not, but different boxes. Q. Are there plans to decouple the software and hardware? Q. What happens when I am loosing a node? More than one disk is lost, how about performance? A. Run away, no all VMs are distributed, available on different nodes and continue to read the blocks that are available in the other node. Data loss is not to be tolerated, but there is a small degrade in performance when this happens. Q. 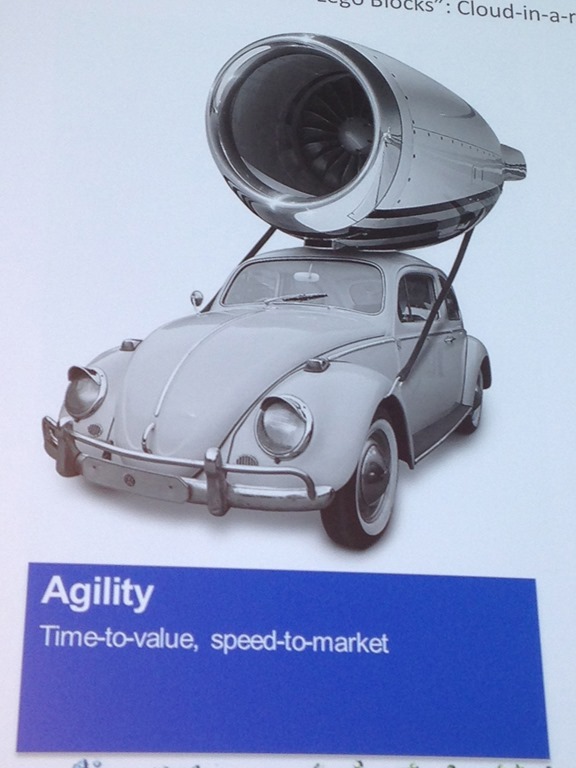 How about upgrading vSphere? A. The hypervisor is shipped with the box, just upgrade, with the latest NOS (Nutanix Operating System 4.1) hypervisor upgrades are made easy. Q. How do you connect the nodes together? Q. Do you sell the switch? Q. Is it possible to spread a cluster across datacenters? Q. Why Nutanix over VMware vSan (or read EVO:Rail)? A. Nutanix really appreciates VMware, the announcement from VMware is great for the industry, vSan/EVO:Rail is not available just yet, vSan is brand new and there are going to be a lot of issues, we have already gone through that, there are no enterprise features in it. Nutanix now scales to 1500 nodes in one of our projects, vSan scales to max 8 and 16 at GA (now, in 2014, vSan is available and it supports up to 32 nodes) Nutanix is also multi platform (Hyper-v/KVM) so we’re not depending on it. The announcement of EVO:Rail by VMware (VMworld 2014) really confirms we are on the right track according to hyper convergence. So that’s the journey for now, I am already working on another article about the experiences with Nutanix as a product in both a technical/solution and a sales perspective. Thank you for reading, share if you like!